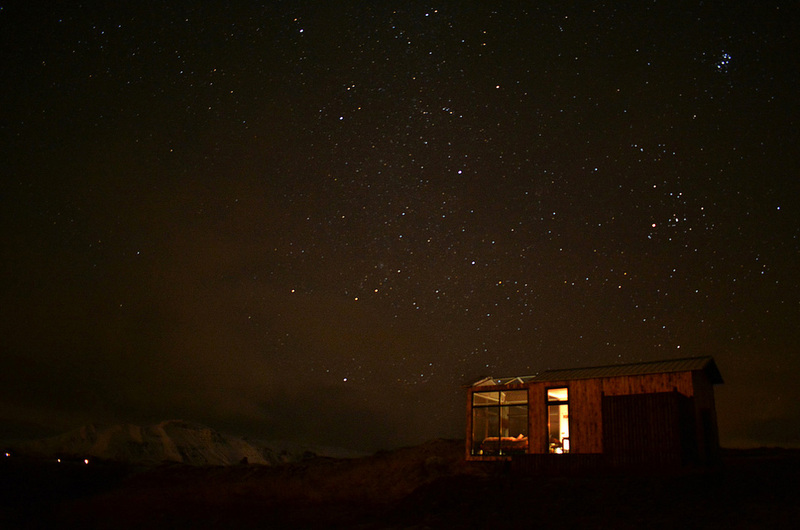 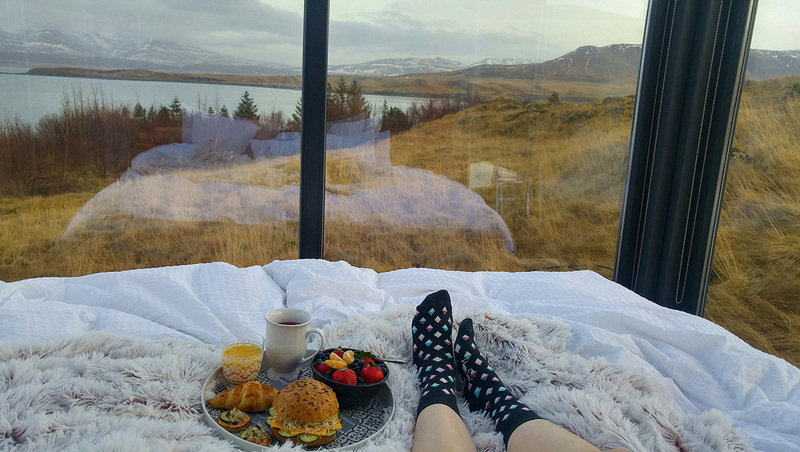 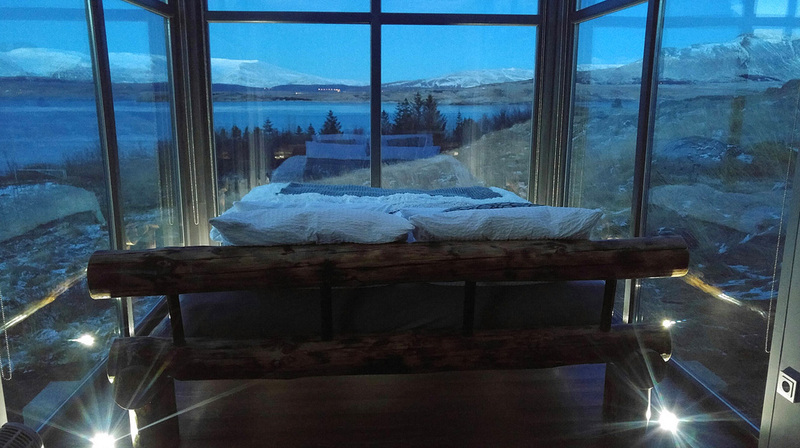 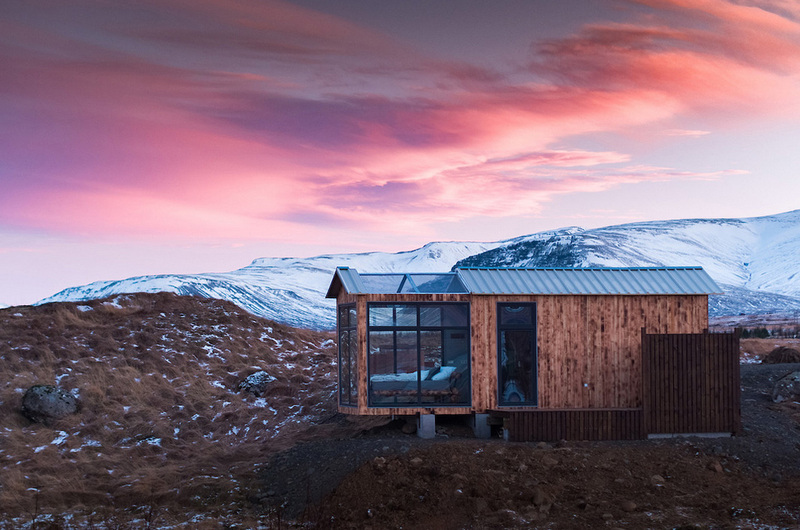 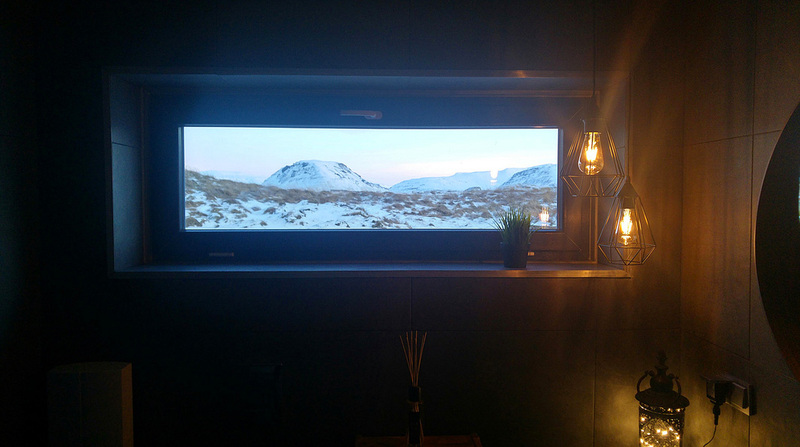 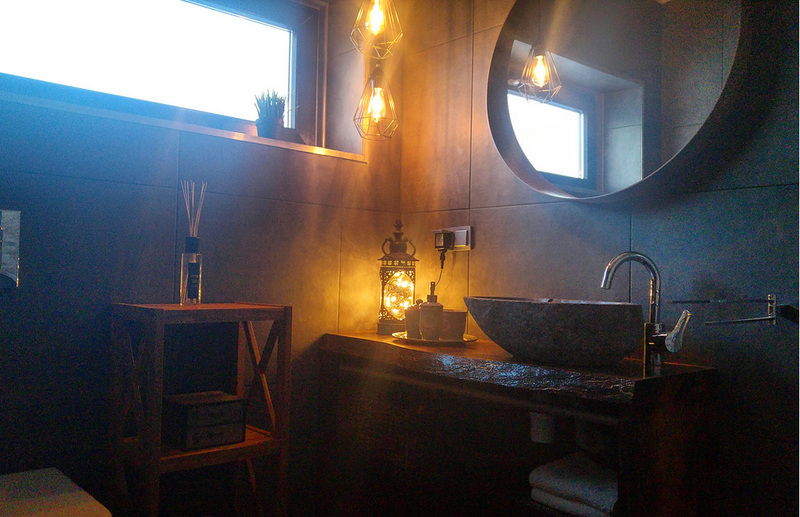 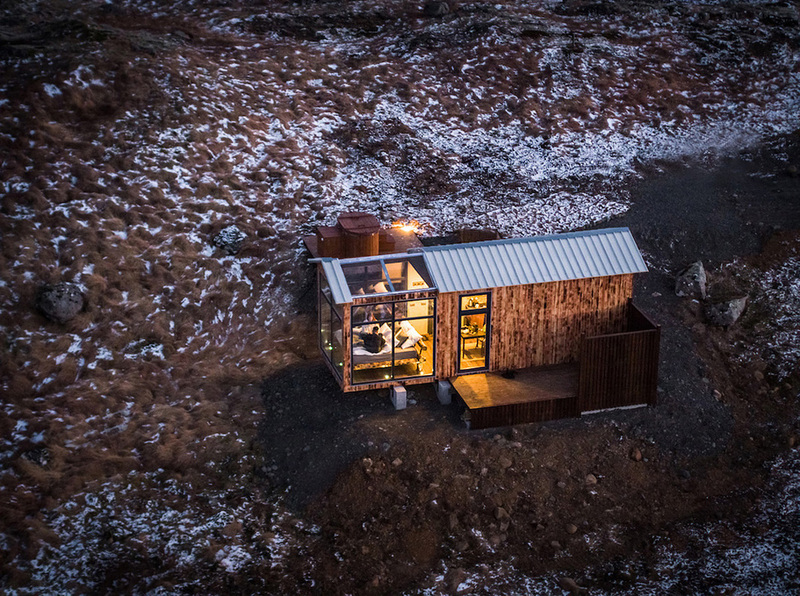 Located just a half hour outside Reykjavik is what may be one of the most unique cabins in Iceland. 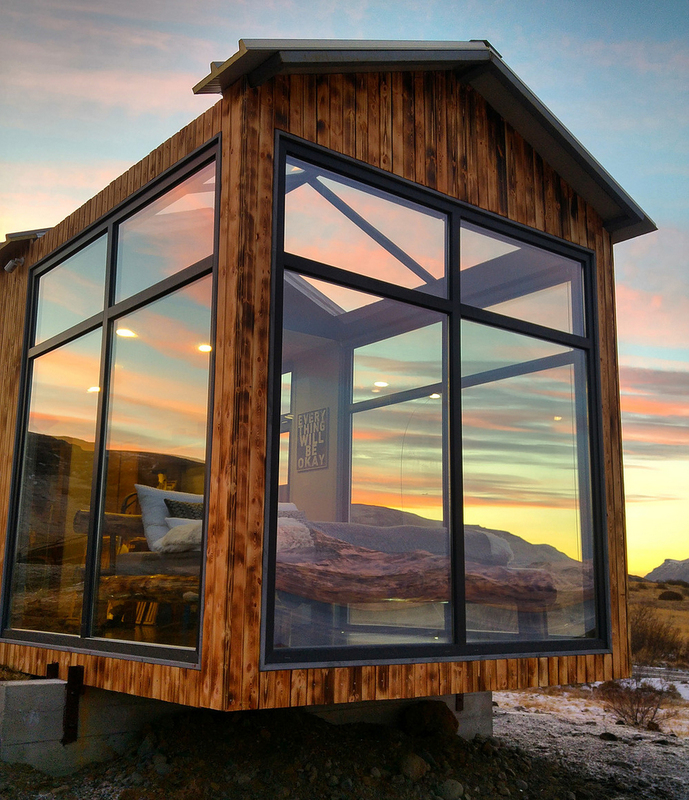 Introducing the Panorama Glass Lodge. 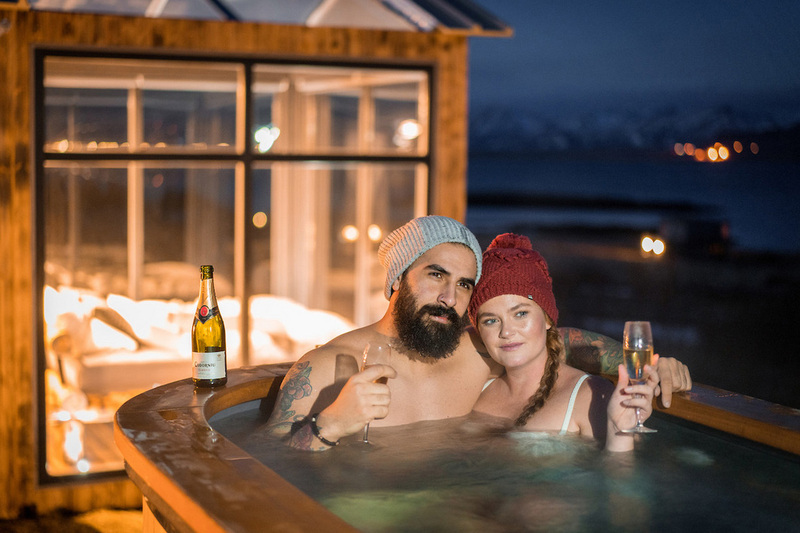 sThis igloo-like home features a small fully equipped kitchen, a dining table, full bathroom, and hot tub – essentially everything you’d expect out of a high-end hotel or lodge. 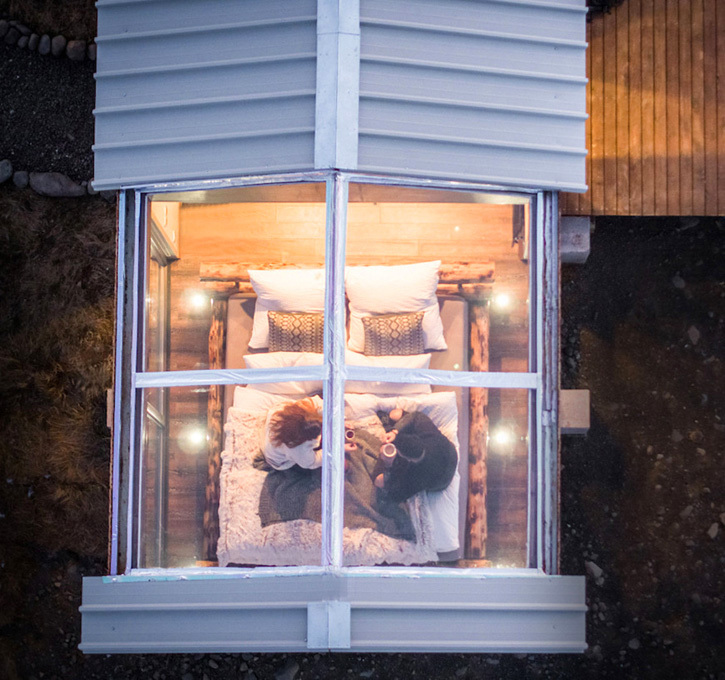 What sets this apart, however, is its nearly 360-degrees of glass in the bedroom. 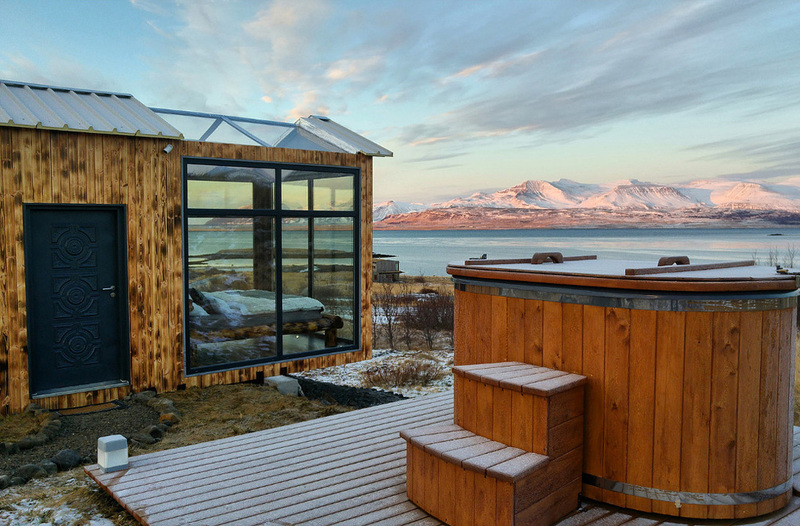 The three walls and ceiling provide, as the name would imply, a completely panoramic view of the surrounding bay. 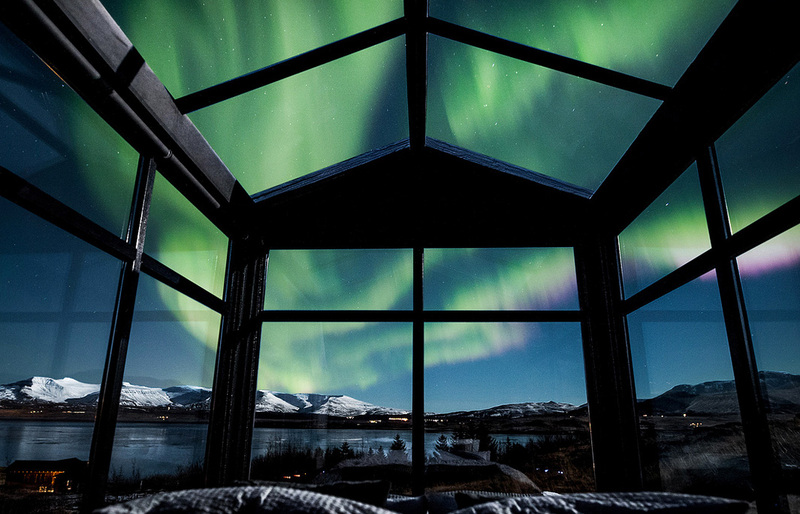 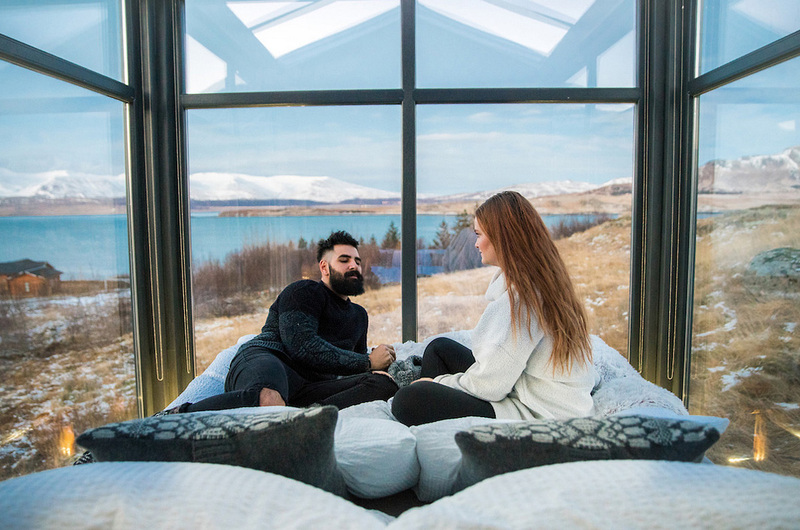 This makes the home ideal for viewing the northern lights on a honeymoon, romantic getaway, or just for those who want the experience of sleeping out under the stars without necessarily needing to rough it. 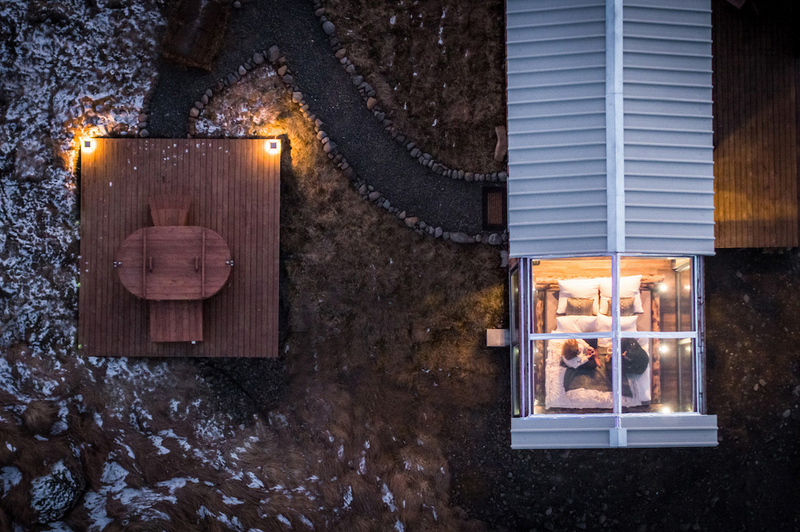 Aloso we’ve already told you about other great glass house – The Glass House by Santambrogio Milano.